Landscape Architecture Bureau is in the process of designing the 3.75 mile long Union Station to Georgetown Streetcar project. 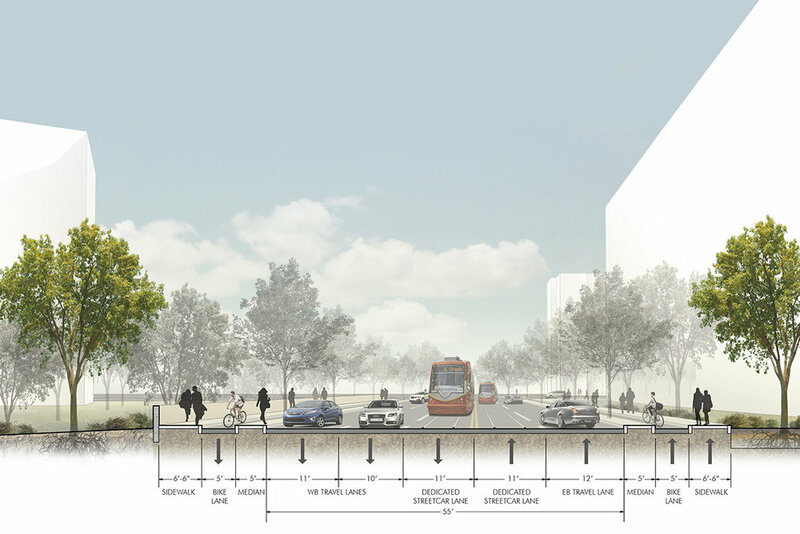 We are part of the project team developing the landscape studies, station design, public space/ streetscape design and illustrating transportation alternatives for the National Environmental Policy Act and the District Department of Transportation. LAB participated in public meetings and worked with community leaders on the transportation alignments and determining the scope of the project which traverses several of the District’s Wards, ANC’s and business development groups. The USGT project was advanced alongside the District’s major stakeholders and community groups to ensure that the public interest was always at the core of the infrastructure improvements.